I toasted the waffles until they were nice and crispy. Then I cut up the banana and sprinkled cinnamon and sugar on it. I toasted it in the toaster oven. 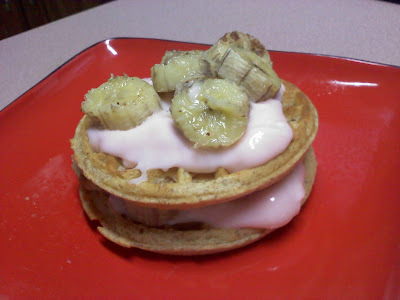 Then I layered the waffle, yogurt, and bananas on top. Yum!